Information technology continues to advance at a breakneck pace. Because of this, the public has access to more, different sources of information that ever before. And each member of the public can now be a broadcaster in their own right. Moreover, the dawn of social media and the vast oceans of open data available with only a few clicks has created a situation where the public demand for information far exceeds the ability of most government agencies to provide it. It is time for a national conversation about emergency public information and how to effectively inform when the current trust in government is low. How can social science and technology intersect in emergency management? Sanchez is an advocate of integrating emergency public information and Joint Information Center concepts. He has been a featured speaker on these topics at the National Hurricane Conference, National Conference of State Legislatures, Texas Homeland Security Conference, Emergency Management Magazine road show, the National All-Hazard Incident Management Team Training & Education Conference, Texas State Firemen’s and Fire Marshal’s Conference and other forums. 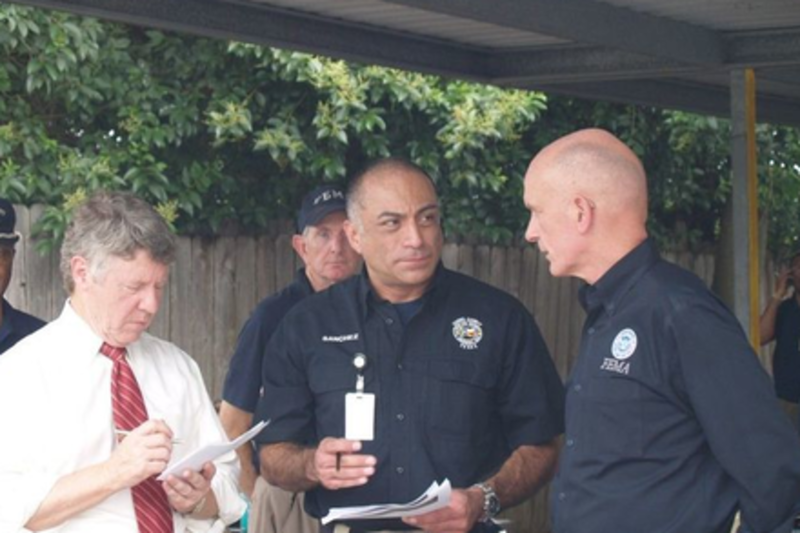 Sanchez is a member of the highly regarded San Jacinto Type-III All Hazards Incident Management Team, one of only 18 such teams sanctioned by the Texas governor. He was a member of the Department of Homeland Security’s Integrated Public Alert and Warning System Practitioner Working Group, which set the groundwork for the Wireless Emergency Alerts network that improved the nation’s public warning system. As a member of the Houston Area Urban Area Security Initiative, he help set public safety priorities in a complex region.